Large rose gold central seconds hand. Power Reserve +/- indicator with Rose Gold finished hand located at the bottom left side of the dial. At the bottom of the chrono sub-dial is a window that the displays a rotating disc indicating the minute in units of 0-9 allowing an even more accurate reading. Power Reserve +/- indicator with blued steel hand located at the bottom right side of the dial. 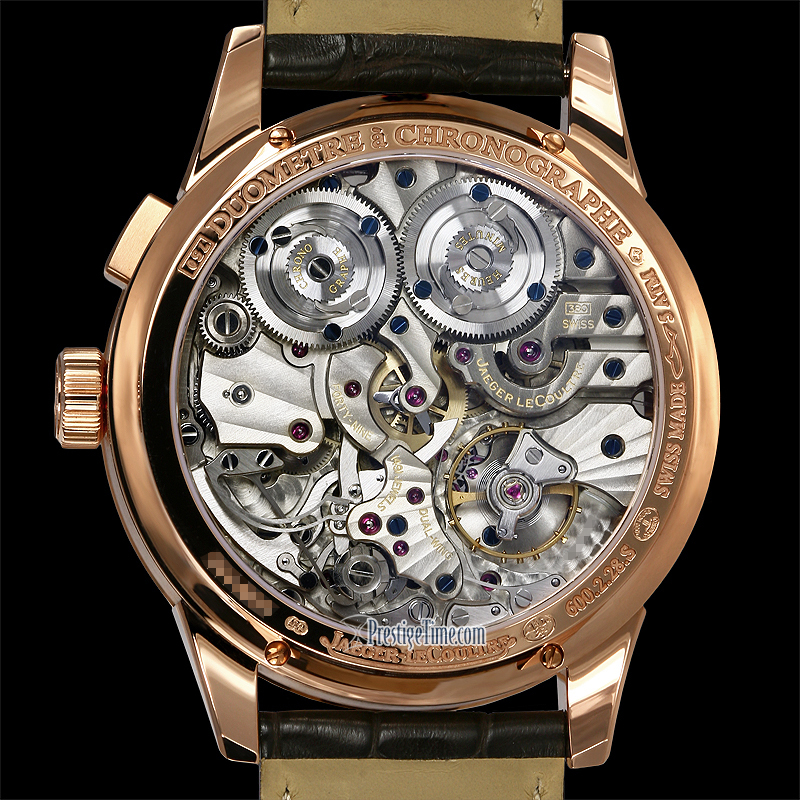 Jaeger LeCoultre caliber 380 beats at 21,600 vph, contains 48 jewels.